I sunburn easily and so does my husband. What is the best way to protect our new baby from the sun? A. Babies under one year of age should be kept out of the direct sun. Keep them in the shade or in a covered stroller. They should be shielded with loose-fitting clothes and a hat. For children older than a year, remember to apply sunscreen frequently with a minimum SPF 15 or greater, at least 15 to 30 minutes prior to going outside. I also recommend using lip protection as well as hats and sunglasses. Everyone should try and avoid the sun in its peak hours of 10 a.m. to 4 p.m.
Click here to submit your question for consideration by Dr. Marla. 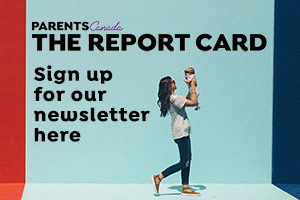 ParentsCanada.com offers expert advice on your pregnancy, baby, breastfeeding, newborn baby sleep, health, and the stages of growth and development.